for British commercial..4 heads total..just the radio controlled mechanics..
Just a rubber tape worm...and oversized...by about 12"
This is the enlarged head-only version of the previous one. Still not much of a puppet, but it did drive a car on Deadbeat. Deadbeat again..This is Blob, a fetal ghost brother of the main character. He has a radio controlled eye..and a hand operated mouth. With radio control, the legs and head moved independently...legs just in and out, the head poked out and looked up to the right or left. When you pulled the string in back he said " sounds about right to me" from an old H & R Block commercial... back when he was in the news for having a huge tax bill. Oreo cookie job...the frosting starts to morph with these resin models. Oreo cookie job...cookie halves grow hair in this sequence eventually ending with a wolf face. 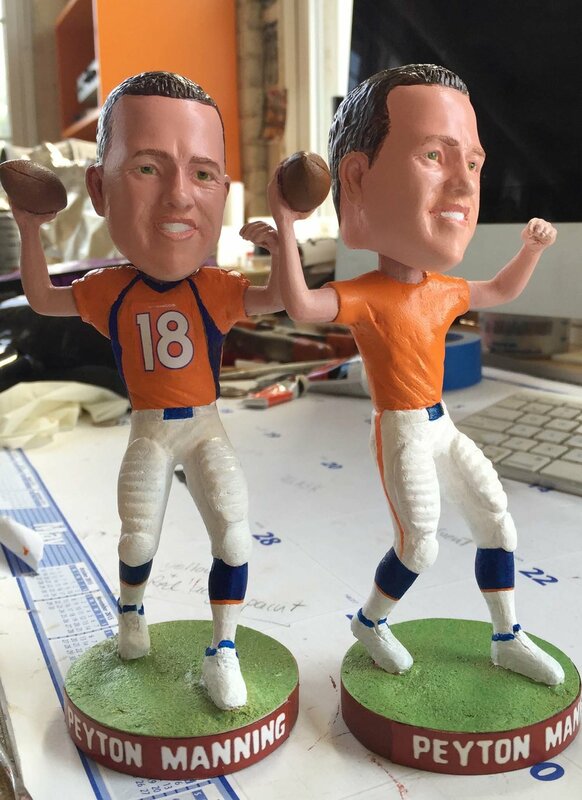 Made to NOT look like Peyton Manning on purpose...in that commercial..not a puppet technically.